Ayala Land Premier unveils its ultra-luxury property which will rise above the prominent crossroads of Paseo de Roxas and Makati Avenue. Designed by Leandro V. Locsin & Partners and Soo Chan Design Associates, the Park Central Towers will rest on a vast 15,860-square metre parcel adjacent to another Ayala Land Premier project, the Roxas Triangle Towers—completing the Roxas Triangle block. 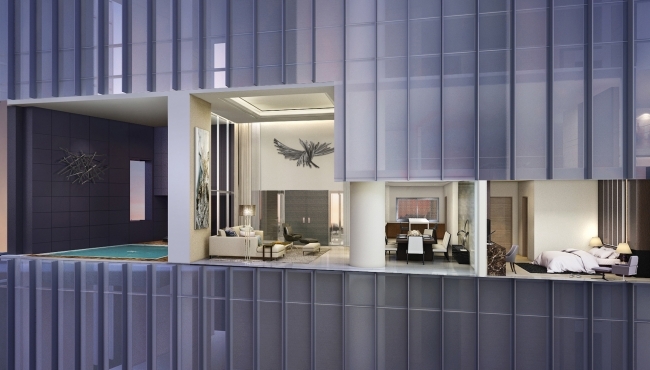 The South Tower will house 281 units in total, ranging from a 138-square metre two-bedroom living quarters to the three-level 1,635-square-metre penthouse. The units are classified into five types, starting with the limited edition, two-to-five-bedroom Anadem Collection. The aforementioned Anadem Villa One penthouse unit, in particular, is the crown jewel of the tower, with its expansive living space that includes the 281-square-metre pool deck. Meanwhile, the 54 Aquaview Villas feature their own private elevators and a 5.7 metre-high living room area that flows out to a private pool and lounge deck. Opposite the Aquaview Villas are 54 Skyview Villas, which have floor-to-ceiling and wall-to-wall windows wrapping around the living room space. True to its name, the 54 Gallery Villas provide a heightened level of exclusivity, with private elevators opening up to a gallery where homeowners can works of art. Finally, the 112 Glass Suites also feature floor-to-ceiling and wall-to-wall windows with views of the cityscape, bathing the apartments with natural light. In keeping with the idea of vertical living, the tower’s architectural design has allotted areas for special four-storey high common spaces called Sky Terraces that will house one of the following each: a gym, a swimming pool, residents’ lounge, or spa. 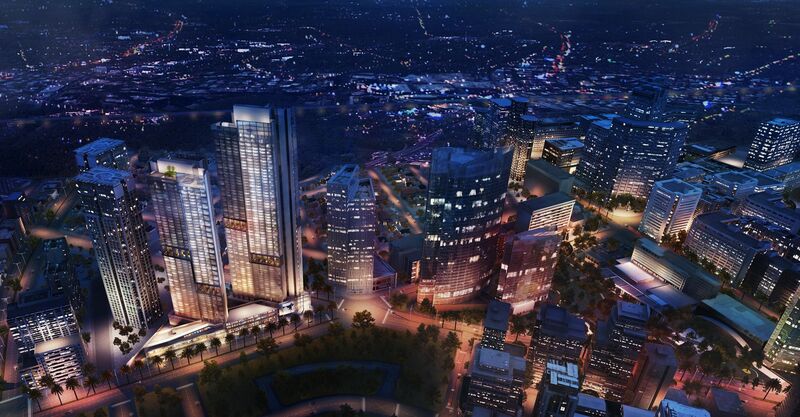 At the street level, the Park Central Towers will have an upscale retail podium housing carefully curated shops and restaurants.